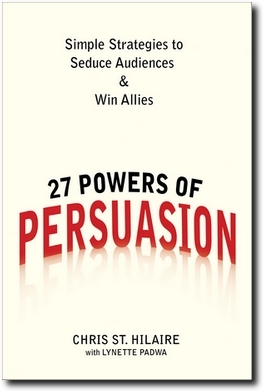 27 POWERS OF PERSUASION: Simple Strategies to Seduce Audiences & Win Alliesoffers an entirely new philosophy of communication. True persuasion is not about arm-twisting or out-maneuvering your adversary. True persuasion is the creation of consensus from conflict or indifference. It’s about taking an idea or a course of action and creating unity of purpose. Written in a highly accessible style—and using current examples ranging from the Obama campaign to KFC, from Starbucks to the Los Angeles Angels of Anaheim—each chapter of the book offers clear, actionable ways to position your viewpoint as the winning one while also respecting the other side. Rather than turning the situation into “us versus them,” the book offers tactful ways to make the opposition feel valued, not threatened. Running counter to conventional wisdom about power in the workplace, the strategies are insightful, inclusive, and extraordinarily effective. The 27 Powers of Persuasion are proven tactics drawn from the Big Four communication fields: politics, marketing, journalism, and the law. “WOW! 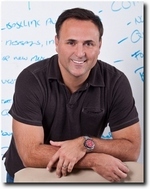 Inspiring, thought provoking, a masterful tool for just about any industry! The entire book had me captivated from Power #1 through #27! I learned a little about myself as I read and adapted the chapters to my own business and personal life.